Amnesty International has condemned the US and Britain for supplying arms to Saudi Arabia, arms which have then been used to kill hundreds of civilians in Yemen. “Two years of conflict have forced 3 million people to flee their homes, shattered the lives of thousands of civilians and left Yemen facing a humanitarian disaster with more than 18 million in desperate need of assistance. Yet despite the millions of dollars’ worth of international assistance allocated to the country, many states have contributed to the suffering of the Yemeni people by continuing to supply billions of dollars’ worth of arms,” said Lynn Maalouf, Amnesty's deputy director of research for the Middle East and North Africa. 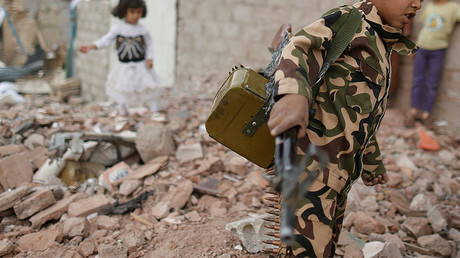 Amnesty accuses the UK and US, both of whom are party to the 2014 Arms Trade Treaty, of “undermining the spirit” of the treaty, and has called on the international community to “immediately to impose an arms embargo” on all parties involved in the Yemeni conflict. In March 2015, Saudi Arabia and its Gulf State allies, including Qatar and Bahrain, launched an aerial campaign to help prop up the ousted government of Sunni President Abd-Rabbu Mansour Hadi against Shiite Houthi rebels. According to UN estimates, up to 10,000 people have been killed in the fighting so far, including 4,000 civilians. 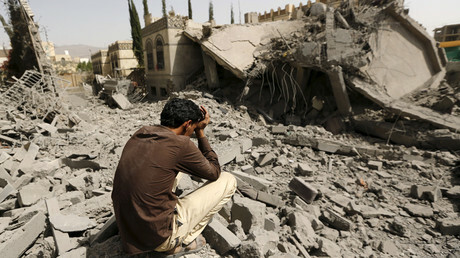 The majority of civilian deaths, according to the UN, have come from Saudi-led airstrikes. 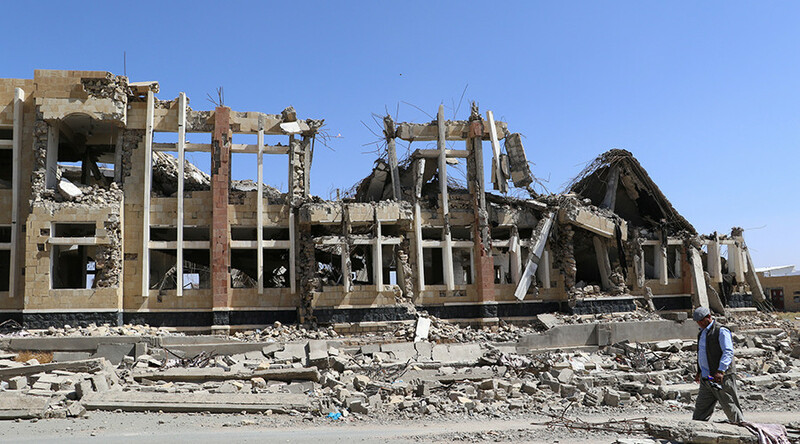 In its investigation of the Yemeni conflict, Amnesty International has documented at least 34 coalition airstrikes that may have violated international law resulting in least 494 civilian deaths, 148 of which were children. Amnesty also accused Saudi Arabia of using cluster bombs, which are banned under international law. In November, the British government refused to stop selling arms to Saudi Arabia, rejecting calls from two parliamentary committees and human rights groups. According to Campaign Against the Arms Trade (CAAT), Britain licensed £3.3 billion (US$4.1 billion) of arms sales to Riyadh during the first 12 months of the Yemen war. During Barack Obama’s two terms as president, the US offered Saudi Arabia $115 billion worth of arms in 42 separate deals, the Center for International Policy, a US-based anti-war think tank, reported in September. It estimated that US arms offers to Saudi Arabia were more than any US administration in the history of the US-Saudi relationship. But in December, the White House blocked the transfer of some weaponry to Saudi Arabia over concerns about the civilian death toll from the bombing campaign in Yemen. Arms exports to Saudi Arabia have resumed under Donald Trump’s administration.